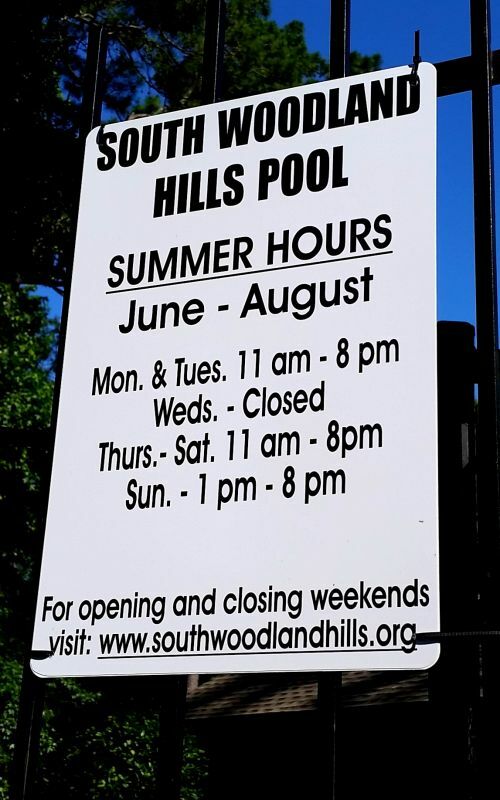 The South Woodland Hills swimming pool is located at 2030 Shadow Rock Drive. It is available for use for South Woodland Hills and other KSA member residents in the pool sharing agreements. Please check the KSA website for participating pools. Pool tags are required to use the pool. Signs will be posted near neighborhood entrances and exits prior to pool tag pick up dates. Information for 2019 pool tags will be posted here and on the email list Pool tags are available to residents who are current with their community association assessments. If you are unable to pick up the pool tags on these dates, they will be available from the pool staff for the first few opening weekends, and then at the Sterling office for a service fee. The pool is professionally managed by Kingwood Community Pool Company.